This is a “sandwich” week for me–the week in between two book events. 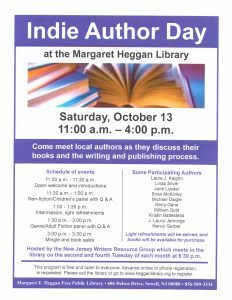 Last Saturday was the Collingswood Book Festival, this coming Saturday is Indie Author Day at the Margaret Heggan Library in Sewell, NJ. This was my 3rd year at Collingswood, and luckily the weather held out. No sun, but warm weather and therefore a good turnout. 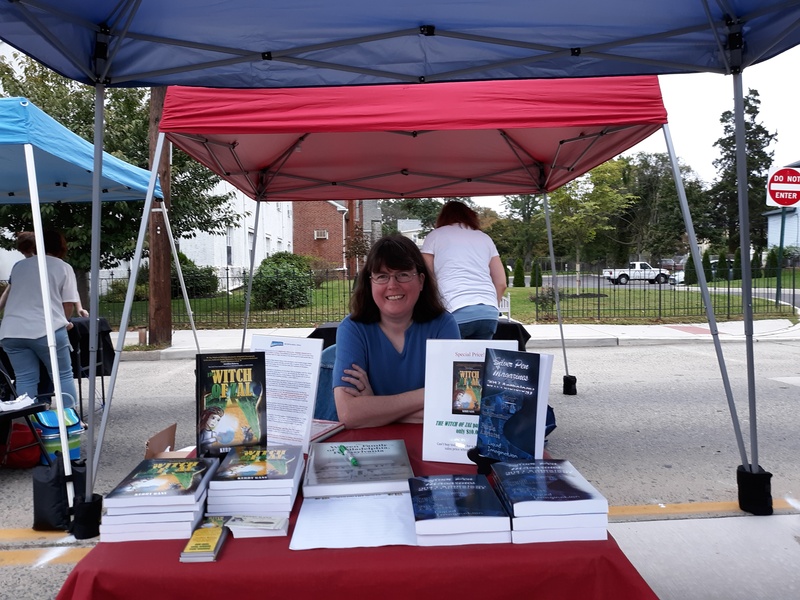 I had a pretty average sales day, but enjoyed talking to my fellow authors and the customers while watching the world go by from my (new) tent. Perhaps the most enjoyable part of my Collingswood experience this year was having my daughter with me. My child care plans fell through, so my Young One got up at 6 AM with me and soldiered through the long day until we got home at 5 PM. You never know the mood your 8-year-old will be in, but Young One faced the day with grace and good will. She helped me set up and break down, she chatted vivaciously with our neighbors, danced a lot when one vendor played music, and even got me a sale! 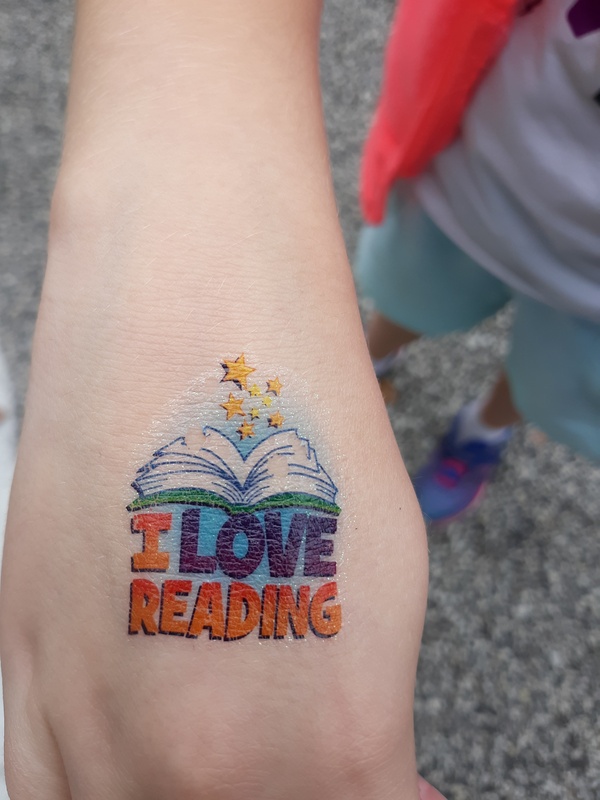 I made sure she got a break, though, and we went to the LoompaLand children’s alley, where she got face paint and an appropriate tattoo. 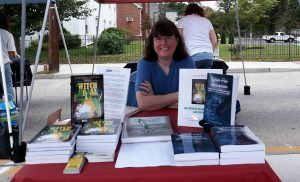 While barely recovered from Collingswood, I am preparing for Indie Author Day. 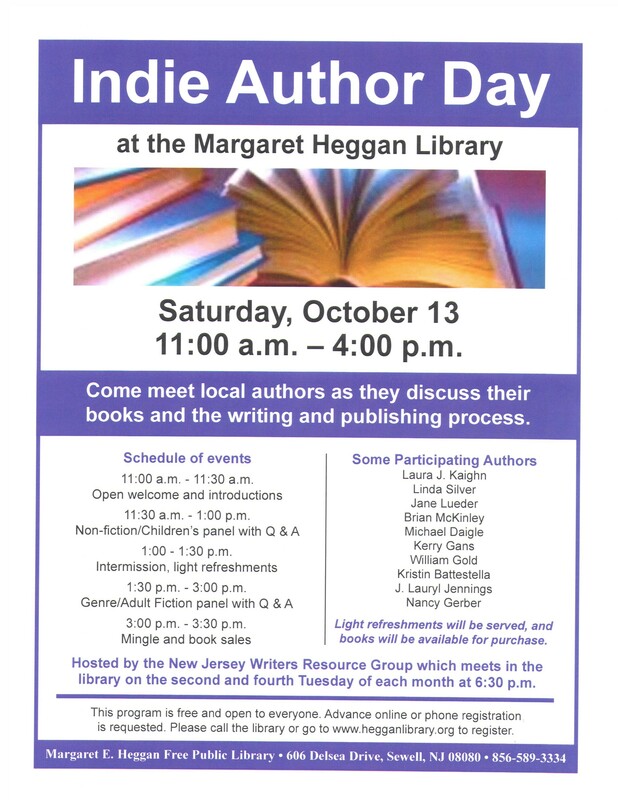 I have spent the last 2 Indie Author Days at the Vineland Library, but this year Laura Kaighn invited me to join an event she is putting together at the Margaret Heggan Library. 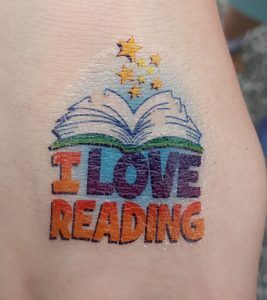 This is a panel event, and I will be on the 11:30 Non-fiction/Children’s Panel, then I get to relax and watch the second panel at 1:30, Genre/Adult Fiction. There will be time to mix and mingle and hopefully sell a few books. I am looking forward to it! If you are in the Sewell area, check it out–info is below. And when both book events are finished, I can relax…for a week or two.